FROM IRELAND TO ANOTHER COUNTRY. When your loved one passes away in Ireland, and wishes to be sent back to their home country to be buried or cremated, we can look after everything from the collection of the remains right up to transferring them to the airport. For many years now, Dignity Funeral Care have built up a reputation of expertise in working speedily and efficiently through the regulations that are associated with bringing a departed loved one home to another country. We will arrange everything such as obtaining the appropriate paperwork, e.g. death cert, out of state papers, and dealing with various embassies. We will collect the remains from their place of death and bring them to our funeral home for preparation and we can also facilitate viewing for friends/family in one of our funeral homes. Dignity Funeral Care will then book the flights for the deceased and arrange to have the coffin transferred to the airport the day prior to departure. FROM ANOTHER COUNTRY TO IRELAND. When your loved one passes away in a foreign country and wishes to be buried back in Ireland, an extra dimension of painful difficulty can present itself to the grieving family. 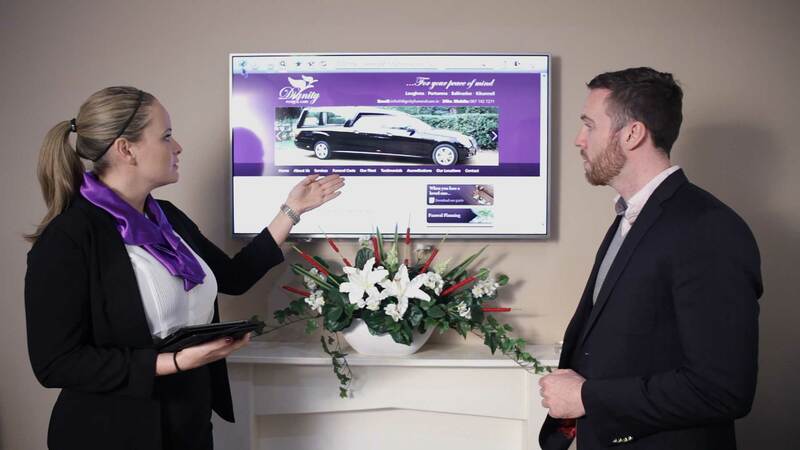 At Dignity Funeral Care, we can take care of all the arrangements for you. 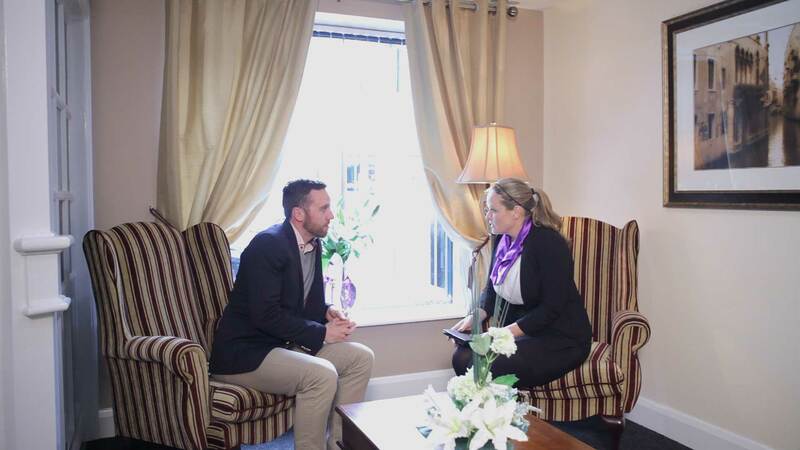 If language barriers exist, we are very experienced at locating and liaising with international Funeral Directors on your behalf; or we can work with the Undertaker appointed by the family in the foreign country; and arrange to have the deceased brought back home as soon as possible. 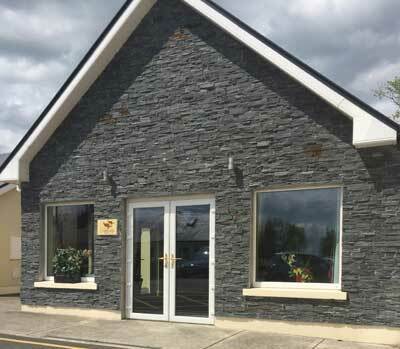 We can make preliminary funeral arrangements with families over the phone internationally, followed later by a meeting in Ireland, and meanwhile we will book the Church and the Cemetery according to your instructions. 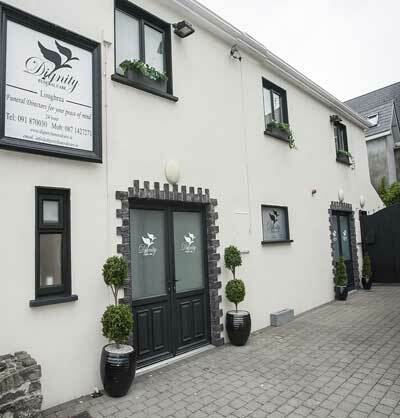 Dignity Funeral Care are well versed also in liaising with the parish staff of former parishioners who emigrated abroad. We will then make sure that all paperwork is in order, and liaise with transport authorities to facilitate smooth flight details. Having collected the deceased from the airport, we will re-prepare the remains if necessary to facilitate family viewing in Ireland.